What Do You Know About Boni Giant Sengi (formerly Known As Elephant Shrew)? Elephant shrews are small, swift, rodentlike insectivorous mammals with long legs, scaly tails and enlongated snouts. They are also known for their almost antisocial behaviour. This biologist proposed that elephant shrews should be called sengis. Elephant shrews can be found in? Elephant shrews belong to the Class? Their high-crowned cheek teeth have been compared to those of? Elephant shrews defend their home territory using? Which of these is a species of elephant shrews? As a predator, an elephant shrew eats one of these. What does the elephant shrew use to find its prey? A distinct feature of the Elephantulus elephant shrew is? 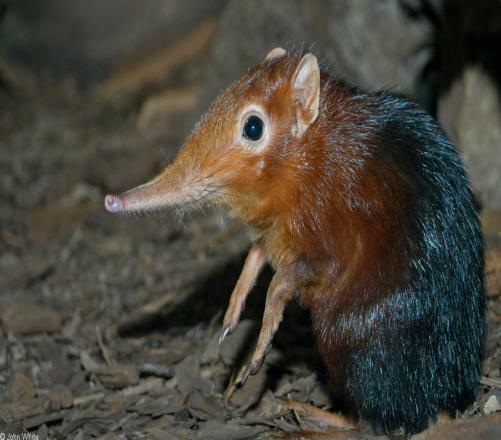 Elephant shrews belong to the Superorder?